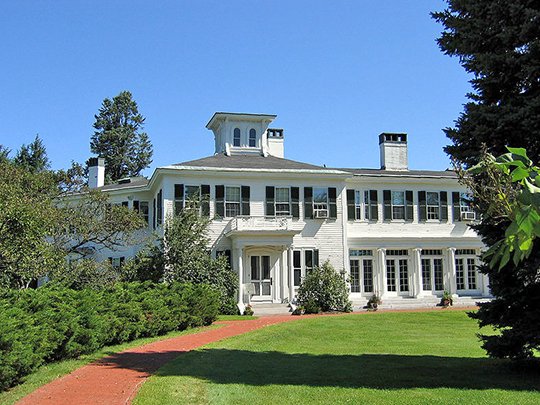 Photo: James G. Blaine House (Governors Mansion), ca. 1833, Capitol and State Streets, Augusta, ME. Listed on the National Register of Historic Places in 1966; designated a National Historic Landmark in 1964. Photographed by User:Powerek38 (own work), 2009, [cc-by-3.0 (creativecommons.org/licenses/by/3.0)], via Wikimedia Commons, accessed March, 2014. The Kennebec County Courthouse is located at 95 State Street, Augusta ME 04330; phone: 207-622-0971.